A customs officer nearly gave his girlfriend a heart attack with a surprise wedding proposaldisguised as a drugs bust. Oksana Tichkovskaya was returning to her native Ukraine with her mother from Poland when customs officers pulled her over at the border. Officers with sniffer dogs conducted a thorough search of the vehicle - and produced several suspicious packages. 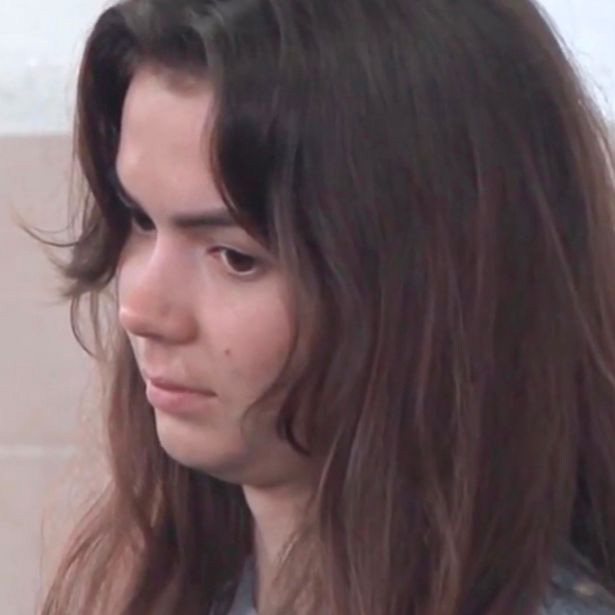 Customs officers said that they suspected Miss Tichkovskaya of trafficking heroin and amphetamines and threatened her with prison. 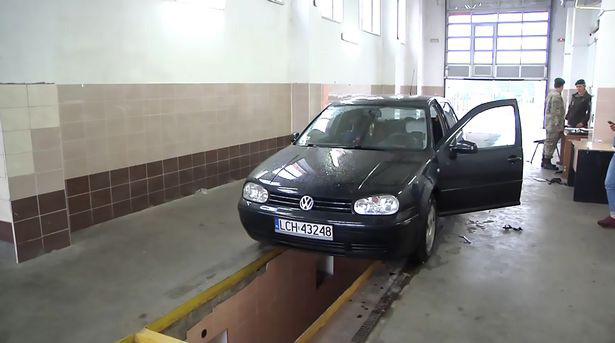 The shocked young woman had no idea what was happening at the border checkpoint at Dorohusk-Yahodyn in north-western Ukraine's Volyn Oblast region. he insisted she had never touched drugs but the customs officers told her that she was looking at a three-to-six-year stretch behind bars. It was then that a roll-door lifted and Miss Tichkovskaya's boyfriend Yuri Petruk walked in carrying a bouquet of 101 red roses. As his stunned girlfriend covered her face with her hands, he got down on one knee and proposed, and she immediately accepted. It turned out that the white powder that the custom control officers had 'found' in her car was sugar. 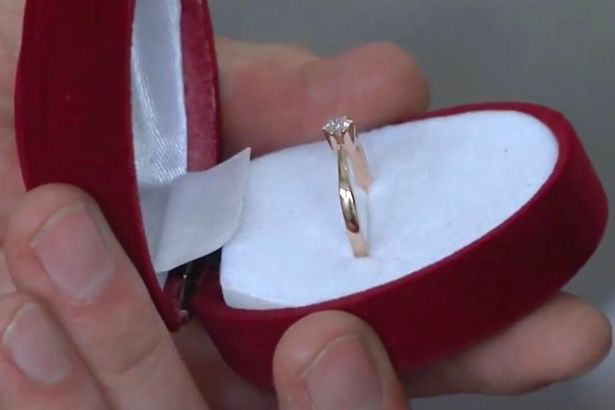 The video of the shock proposal is proving popular with viewers on video-sharing websites who generally seemed surprised that Miss Tichkovskaya had accepted the proposal. Netizen ‘Petr’ said: "Look at her, she didn’t want to kiss him when he tried to hug her. She simply turned around." And ‘rkh’ added: "I would have killed him for a prank like that. That is not funny at all, and I bet she said ‘yes’ only to be left alone."